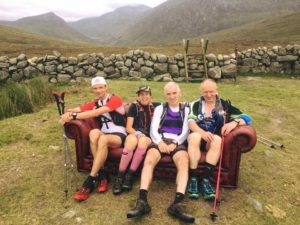 In 2015 a group of 4 BARF runners made a group attempt at completing the DRR with two of them successfully completing it. Other club members and friends helped may this possible.This was the success round for Dave Evans and Joanne Curran. On 21st/22nd May BARF will again set off on another attempt, but this time it is being arranged for all NIMRA members. Happy Vale will once again become the base HQ for the group attempt. 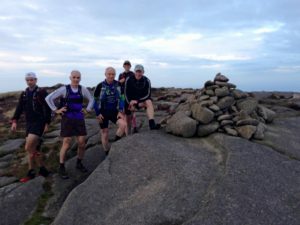 This entry was posted in Uncategorized and tagged denis rankin, denis rankin round, drr, fell running, mourne mountains, mournes, nimra by admin. Bookmark the permalink.